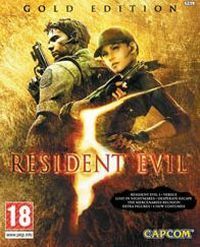 The ultimate Resident Evil 5 collection including the original game plus Lost in Nightmares and Desperate Escape, Game Modes and Costumes. The Resident Evil series has sold over 34 million units since the original game was released in 1996 and has spawned a multi-million dollar trilogy of films from Sony Pictures. Resident Evil 5 will revolutionise the Resident Evil series, just as Resident Evil 4 did.